April 5, 2011 by Brittany V.
Sunscreens are divided into two categories: mineral-based and chemical-based. Mineral sunscreens include zinc oxide and titanium dioxide. They physically block the UV rays from penetrating your skin and reflect them away. Mineral sunscreens are photostable (meaning that they hold up well when exposed to sunlight) and are generally considered to be safe. Chemical sunscreens – by contrast – easily penetrate the skin and are strong free radical generators, which increases cellular damage. Chemicals sunscreens absorb UV rays instead of reflecting them. 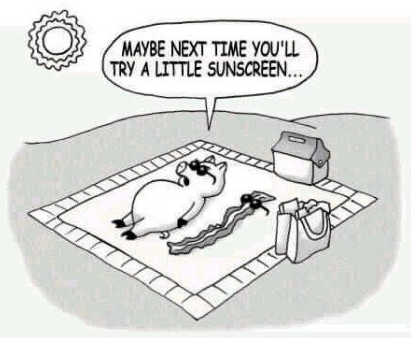 Most chemical sunscreens are not photostable, and start breaking down the minute you are exposed to UV radiation. So basically you walk out of your house with a weapon against the sun, but as soon as UV rays hit your skin, your weapon turns on you. Chemical sunscreens are also estrogenic, which isn’t really something we need to expose ourselves to. Chemical sunscreens include Benzophenones (dixoybenzone, oxybenzone), PABA, Cinnamates (octocrylene, octyl methoxycinnamate), Avobenzone [Parsol 1789], etc. Vasseur Skincare’s Day 25 Cream (which is featured in this week’s US Weekly!) is a 100% mineral-based SPF 25 and also contains powerful antioxidants that moisturize, nourish and protect the skin. Most body and facial sunscreens that you buy at the drug store are chemical based. Although your makeup may be SPF 15+, the quantity that you would need to apply to get true UV protection would make you look like a clown. Most sunscreens in makeup are chemical SPFs, which for the most part, not only aren’t great UVA protectors, but break down when exposed to UV (see above). It’s best to apply a sheer, photostable, mineral sunscreen like our Day 25 Cream first beneath your makeup for real protection.